Home / Fanboying! 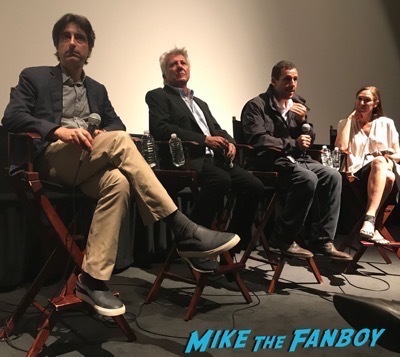 / The Meyerowitz Stories Q and A! Meeting Acting Legend Dustin Hoffman! 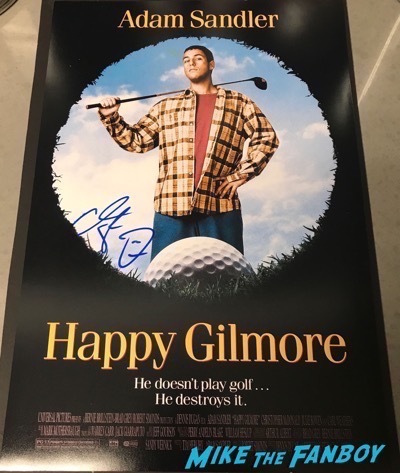 Adam Sandler! And More! 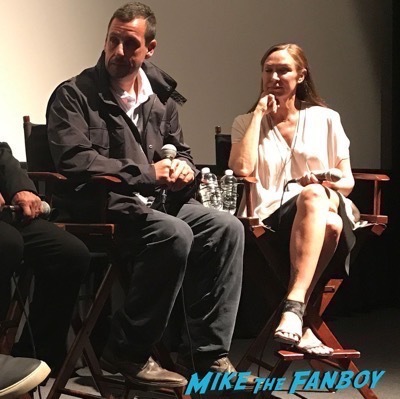 The Meyerowitz Stories Q and A! Meeting Acting Legend Dustin Hoffman! 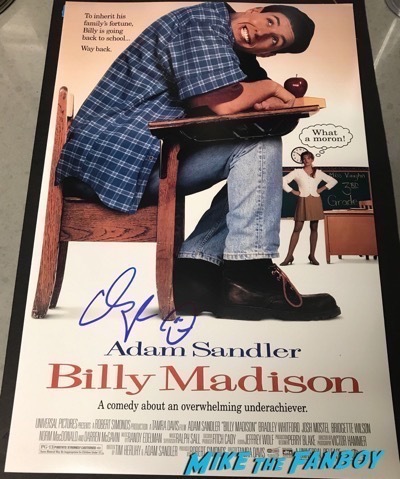 Adam Sandler! And More! 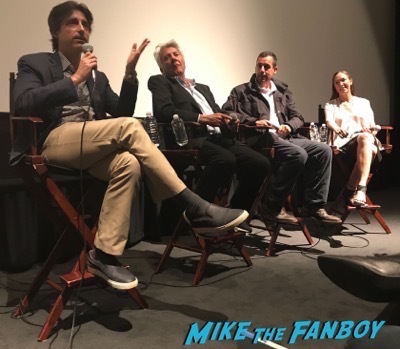 Last night I headed to a rare q and a for the new Netflix film, The Meyerowitz Stories (New and Selected). 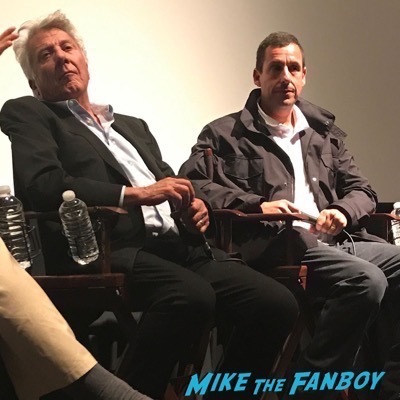 The film stars Dustin Hoffman, Adam Sandler, Elizabeth Marvel, Ben Stiller and Emma Thompson and is written and directed by Noah Baumbach. The q and a included the stars (sans Emma Thompson and Ben Stiller) as well as Baumbach. The film was a very unique character study and has an amazing cast. “There was something familiar between Dustin and I. We had a lot of history already by the time we started shooting, so when we would fight on set it was familiar” added Noah with a laugh. The film was the director’s vision, which the cast agreed on. “Every film almost never gets off the ground.” Dustin Hoffman jumped in. After the panel, security was tight, like really tight. 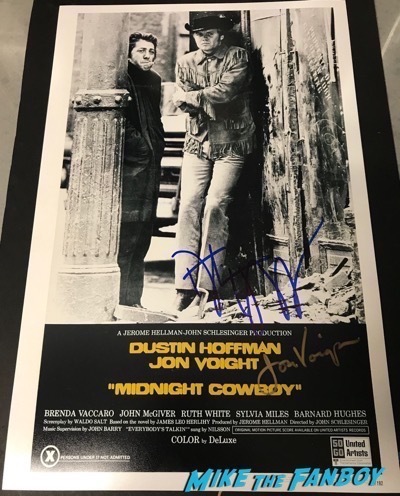 Dustin Hoffman did stay and he did a couple photos and I was able to get my Midnight Cowboy and The Graduate posters signed. 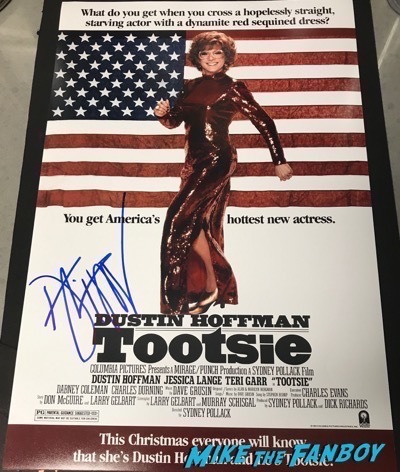 My friend Mike was soooooooo nice and got my Tootsie poster done for me, which was super sweet of him. Adam left fairly quickly so we didn’t get him inside. The cast got together after for a drink after and Lisa and I waited around a bit. It was getting late and we decided to leave. As we were getting our parking validated and saying goodbye, we turned and the elevator opened and there was Adam Sandler. He was very nice and stopped, signing everything we had. Talk about random and being in the right place at the right time! It was a fun evening and I’m sure there will be more to come as FYC season heats up! Happy Rex Manning Day! Meeting Empire Records Star Ethan Embry! Autographs! 1990’s Coolness! Throwback Thurs! 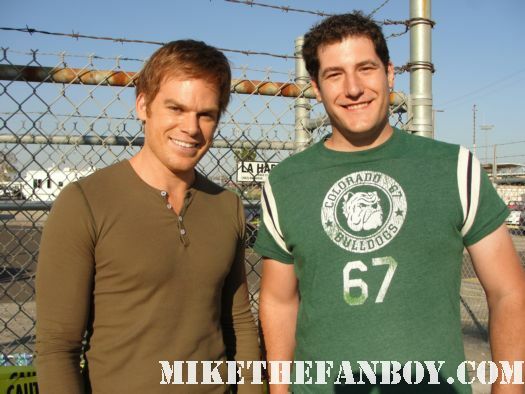 Meeting Dexter, I Mean Michael C. Hall And Cast On the Set! Slasher Goodness! The Palm Springs International Film Festival! Ryan Gosling! Nicole Kidman! Andrew Garfield! Amy Adams! And More!